19. August 2012 at 20:57 - Office automation (Tags: font, size, Skype, Windows). Both comments and pings are currently closed. This does NOT change the font size in skype: the fonts are as small as ever. 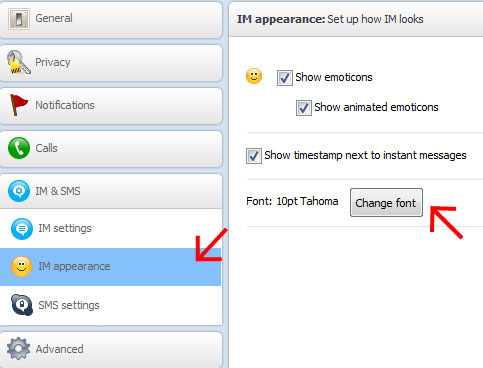 What it DOES change is the font used in a TINY FRACTION of Skype: The Instant Messaging (IM) section. Very good, easy and helpful method. I have done it instantly. Hi, thanks for the perfect advice! Really good instructions for enlarging the font size in Skype! Pictures and arrows and all. All instructions should be this good! Thanks a lot again! thanks took me some time to get to the person who really helped thanks A LOT DUDE!!!! Thanks. It worked like a charm………. what you suggest does not change the text in contact listings, I cannot see the names unless I am 1 foot away from screen, I guess the person who put this online could not see either ? Amazing how people are consistently not answering the question of increasing the font in Skype. We got the how to increase the font size in the IM BOX… got it… NOW please, the font size in all of Skype, without changing the resolution of your whole system graphics card!! 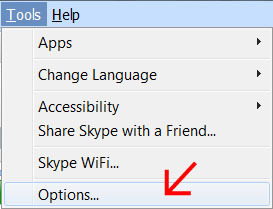 We can zoom into all windows on the computer and on the internet… EXCEPT Skype. Marcus is right. georgik ain’t. @Chuckles and @Marcus: This article is relevant for desktop version of Skype for Windows 7. The full screen version for Windows 8 works differently.